A Church of England priest has been arrested on suspicion of sexually abusing two young boys in the late 1980s. Father Wilkie Denford, 76, who is semi-retired and lives in Lewes, and a 68 year-old-man, also from the Lewes area, were arrested in November. The pair are accused of abusing the boys at a number of locations in West Sussex in 1988. Both men have been questioned by Sussex Police and bailed until 1 March. Details of the arrests have just emerged. 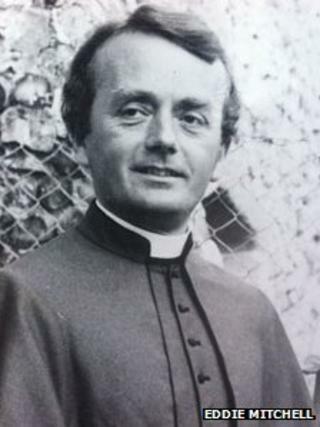 The Diocese of Chicester said Fr Denford and the other man had been suspended from church-related duties. The abuse is alleged to have taken place while Fr Denford was a vicar at St John the Evangelist in Burgess Hill. The 68-year-old worked as an organist in the Lewes area. He previously worked in Brighton and at Canterbury Cathedral and continued to officiate until he was arrested in November 2011. In a statement, Sussex Police said a 76-year-old and another man aged 68 were "arrested on suspicion of sexual abuse of two young boys at various locations in West Sussex during 1988". A spokeswoman for the Diocese of Chichester said: "We can confirm that a retired priest and another man, who has worked as an organist in the Lewes area, were arrested in November 2011 and are currently on bail. "Both were immediately suspended from any church-related duties. The Diocese of Chichester is working in full co-operation with the police and other public authorities. "We cannot comment further whilst this investigation is under way."